Safely and easily installs fuel to your Campfire with a disposable 1-lb bottle of LP Gas. 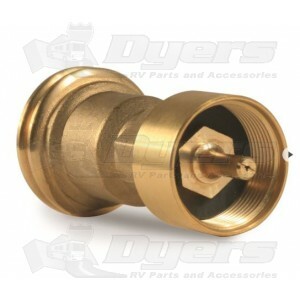 Can also be used to convert any appliance from a Type I ACME to a 1"-20 Throwaway connection for use with a disposable 1-lb bottle of LP Gas. Teflon tape or thread sealant is NOT required when installing.